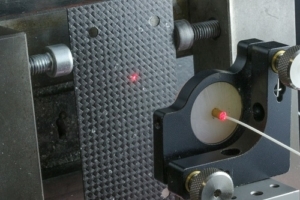 IDIL Fibres Optiques' Photonic Doppler Velocimeters (PDV) are simply the best systems for shocks and detonic applications. The PDV technology allows more reliable measurement on your high speed phenomena with unique or multiple speeds, in the range of 0 to 20 km/s with an excellent temporal and velocity resolution. A dedicated software, based on a Fourier Transform algorithm, allows a rapid visualization of the speed fields. The multiplexing system allows the user to get 32 PDV measurement channels with only 4 digitizer channels. Other characteristic qualities are: the non-contact laser measurement, the frequency up shifting, amplification of the reflected signal. A new X-small PDV system offers the same performance quality in a more compact (5U height) packaging. This solution allows up to 4 measurement channels.